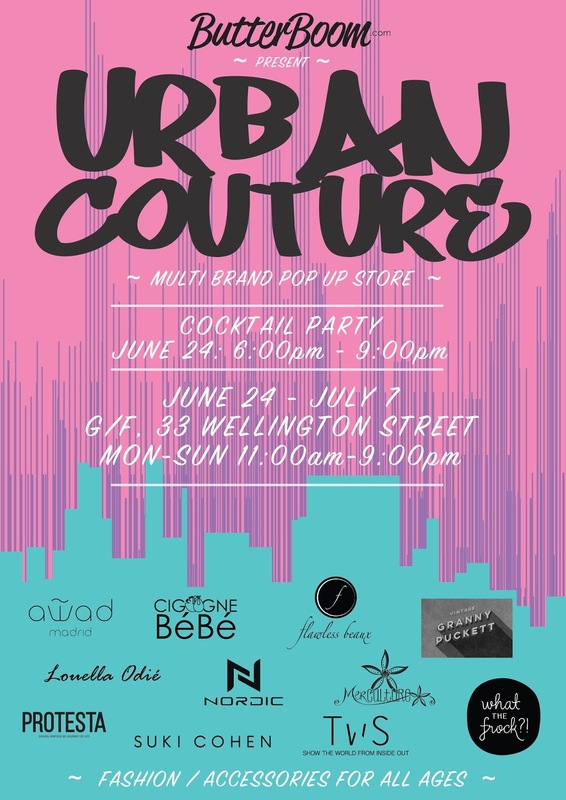 Starting this past Friday the 24th, eleven independent designers launched Urban Couture, a multi-brand pop up store located in Central for two weeks. These eleven designers, most based in Hong Kong, but a few from Canada and one from Columbia, have collaborated to put together an amazing collection of items for your shopping delight. Also at the pop up are accessories for men and women by Protest A and Flawless Beaux and high end handbags and belts by Awad. After an exciting opening night, they will stay open from 11am to 9pm each day until July 7th. 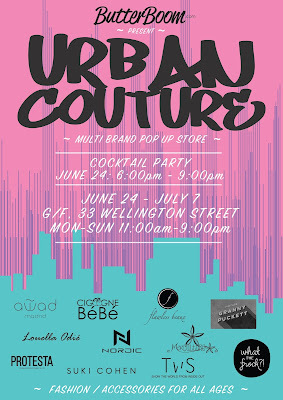 If you're in the neighborhood, you really must hurry over to see some of the lovely items these designers have curated for you at this pop up. I've got some of my Hong Kong designer favorites with me this summer. 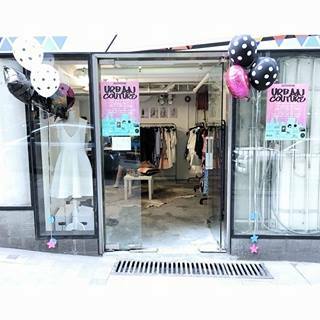 It's not quite the same as being able to browse through the selection at the Urban Couture pop up, but I'll pretend I did and live vicariously through those of you who are lucky enough to pop in.